This is a project that I’m very excited about. Being a big fan of the High Line, the idea of revitalizing another set of unused train tracks to create an additional public park space in NYC sounds great. The Delancey Underground project (a.k.a. 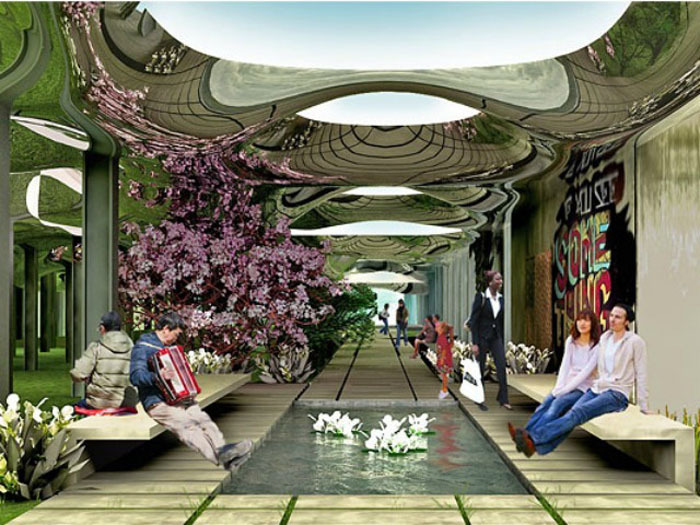 the LowLine) is the brainchild of James Ramsey (RAAD) and Dan Barasch (PopTech). They propose to convert the former Williamsburg Trolley Terminal – opened in 1903 but not in use since 1948 – into a 60,000 square foot underground green space beneath Delancey Street in the Lower East Side. They have found beautiful architectural details in the abandoned space such as cobblestones, vaulted ceilings and crisscrossing train tracks. Dark and gloomy you say? Well, Ramsey has designed a new technology that would direct sunlight below ground via fiber optic cables. Solar collectors would be placed at street level, collecting sunlight throughout the day which would then be reflected below ground. This light would not emit the ultraviolet harmful rays, but would support photosynthesis enabling the growth of plants and trees. Arup Engineers are now working with the team on a series of feasibility studies as well as on the sunlight irrigation prototype. The project has a Kickstarter page with three more days to go and information straight from the creators. They have met their initial goal but, as always, a project like this could use more money. 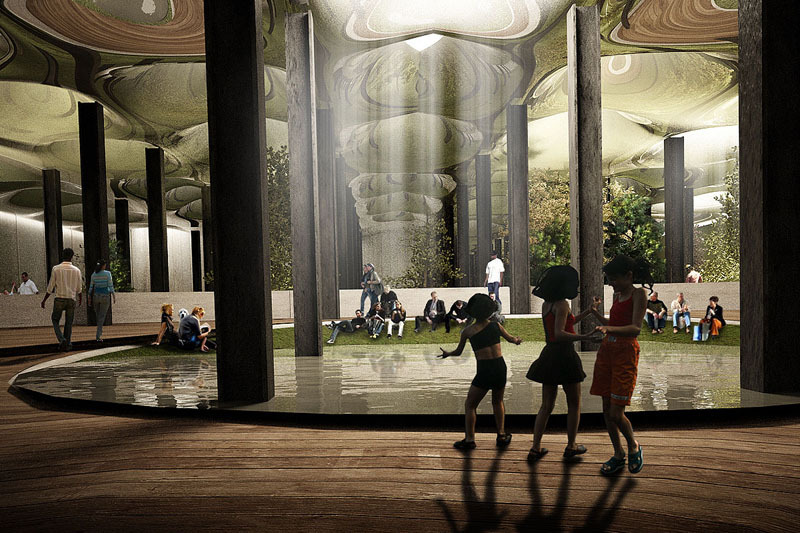 In addition, from now until the end of April, the Mark Miller Gallery on Orchard Street has an exhibit previewing the LowLine Park titled Let there be light, with large renderings, a 3D model of the space, animated video and protoypes of the solar reflectors. This entry was posted in Architecture, Event, Just Plain Cool, NYC, Stuff We Like. Bookmark the permalink.